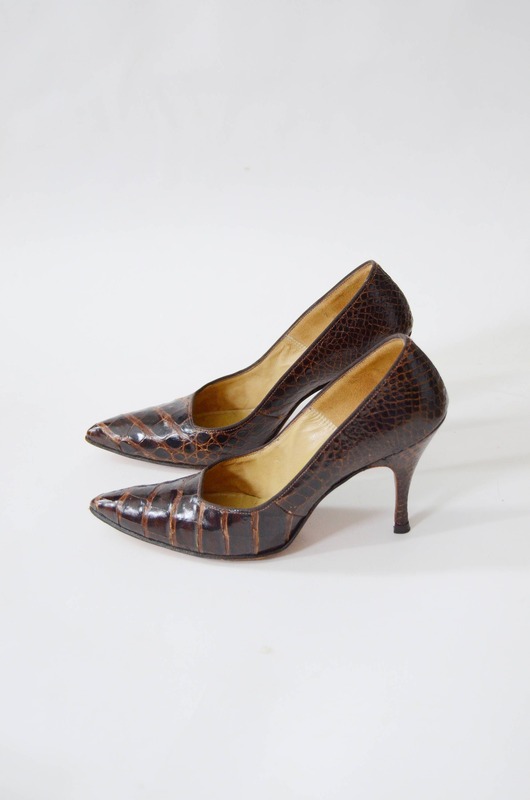 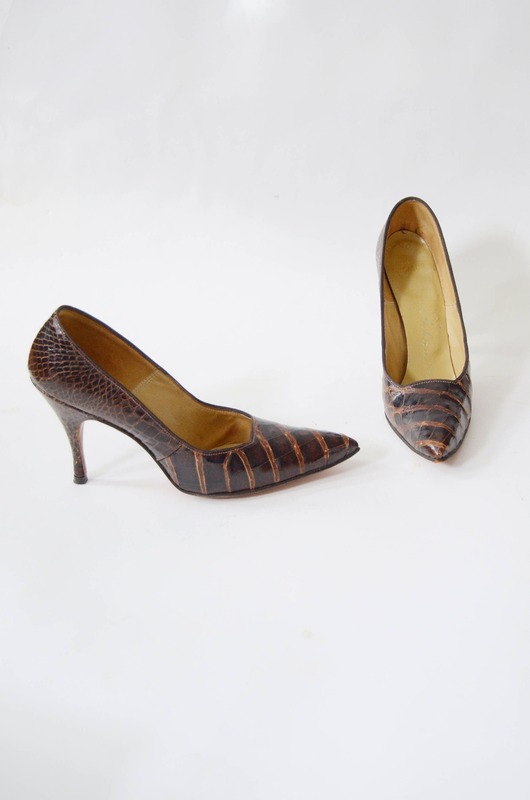 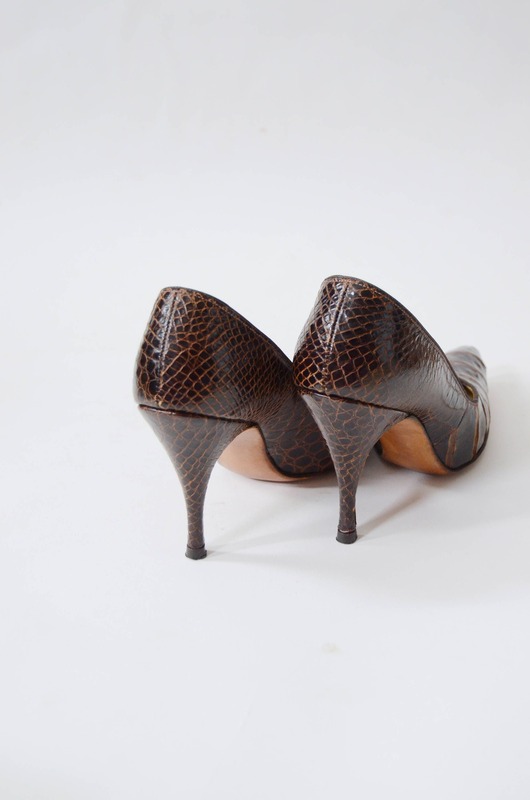 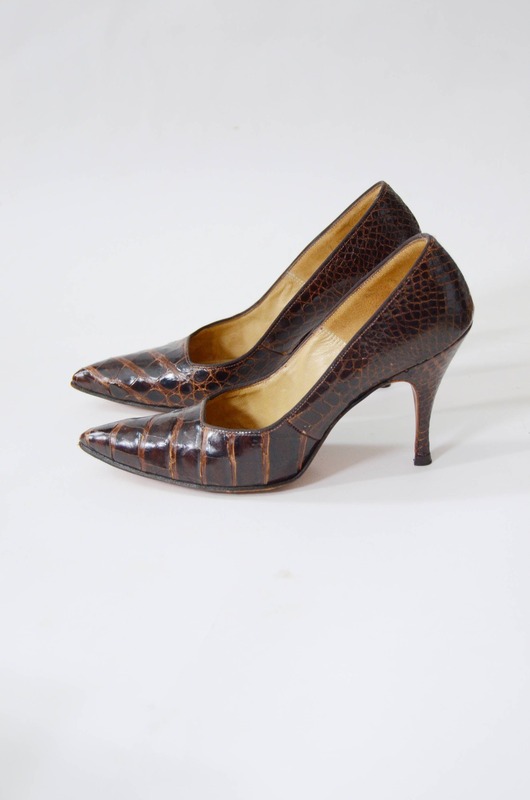 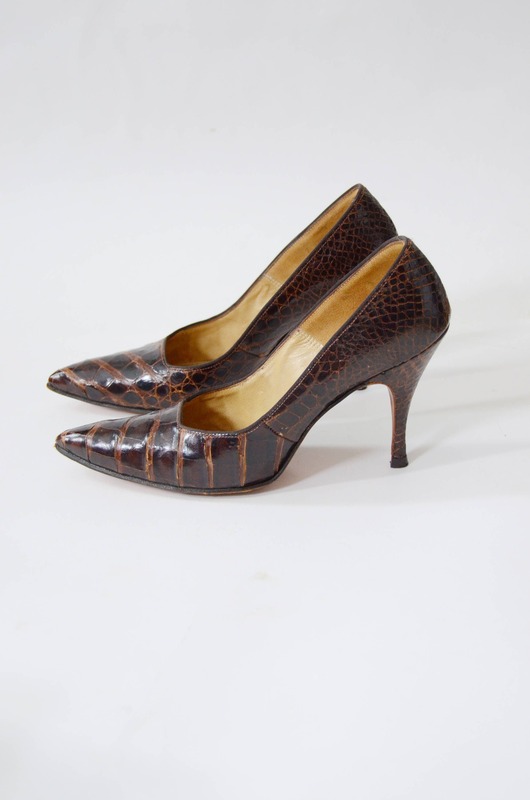 Description: Stunning pointy toe alligator heels, they have a classic shape to them. 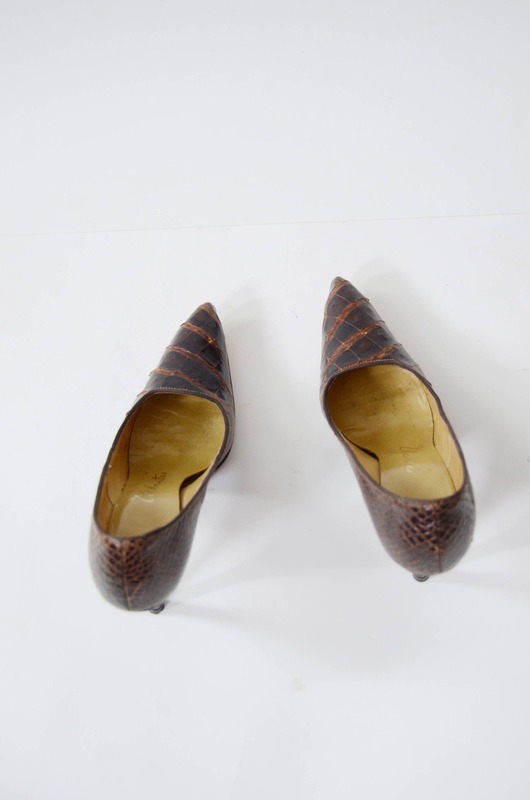 Condition: Wonderful shape! 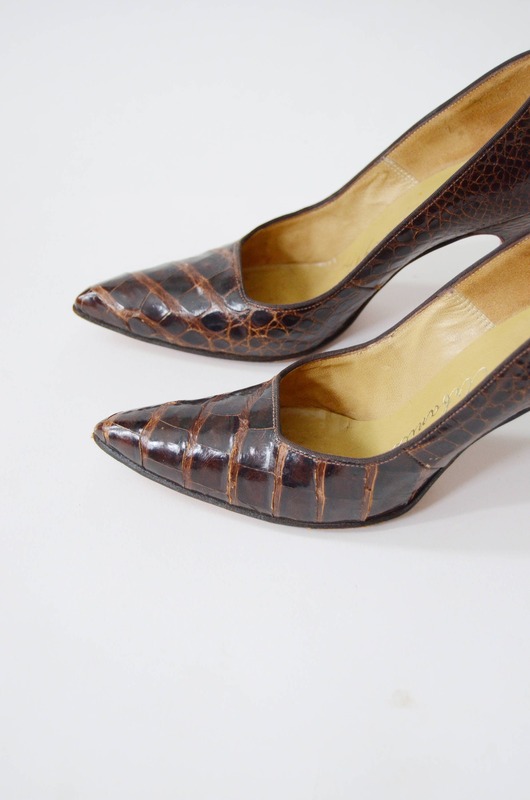 They have some dry spots, and worn spots, but present really well. 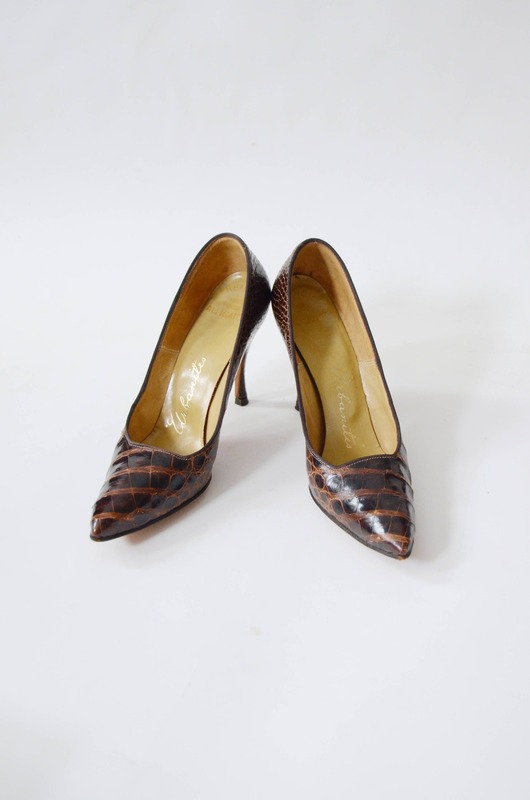 No large stand out flaws, please inspect images closely and be sure to zoom in.